At the end of last season, the whole Regular Show gang was launched into space, with Mordecai, Rigby, and all of their friends trapped in a huge dome surrounding their park. Now, Cartoon Network has confirmed some similarly distressing details about the show’s upcoming eighth season, which is set to premiere on September 26 on Cartoon Network. 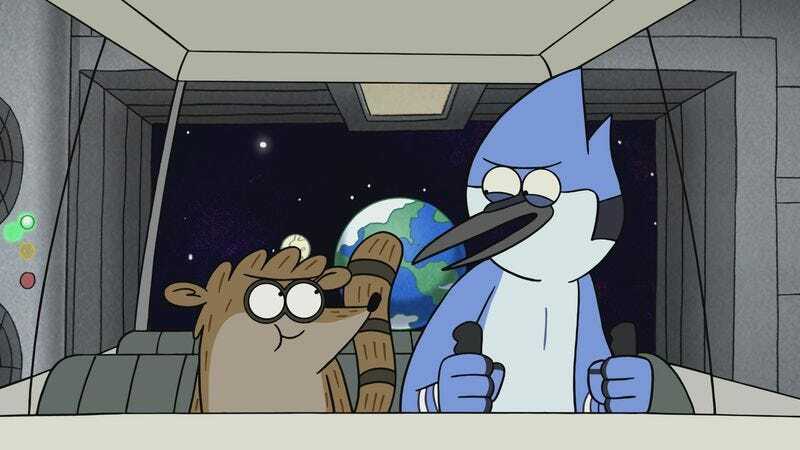 For starters, the entire season is going to take place in orbit—meaning Mordecai and Rigby won’t be getting home any time soon—and this season will also be Regular Show‘s last. You can see a clip from the season premiere below, and the series finale is currently set to air at some point in January.